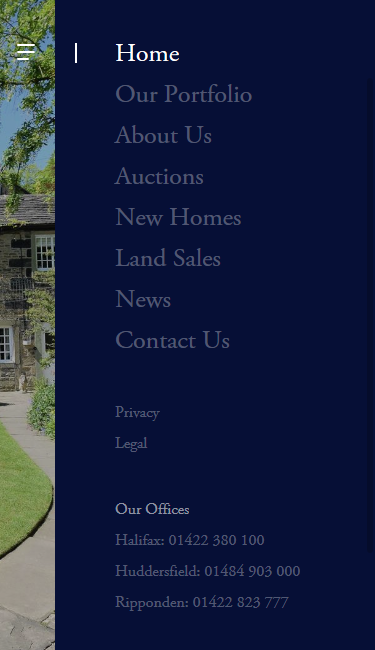 Charnock Bates is an established Chartered Surveyors and Auctioneers, specialising in the sale of fine, country and period homes across West Yorkshire for over 25 years. As a member of the Walker Singleton group, Charnock Bates has expanded it’s range of professional services, offering a greater choice of services and specialisms to our new and existing clients throughout the West Yorkshire region. With such premium properties on offer, Charnock Bates needed a new website which would showcase their high end stature in the market. Not only do they sell some amazing looking spaces, they also provide an extremely professional customer service – something they’re very proud of and feel sets them apart from competitors. Therefore it was important that the site also emphasised their level of expertise in the industry. Imagery of the impressive properties on offer was of course extremely important – so that had to be at the forefront of the designs. 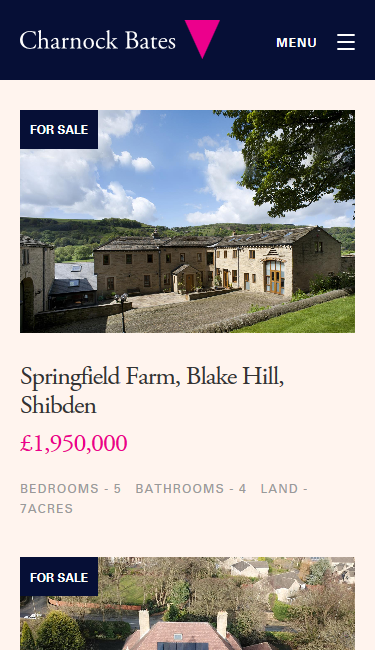 The client were after an alternative approach to search results in addition to the typical grid style layout, so we incorporated a slide view option with a full width property image. This allows users to swipe through results with ease, but by still keeping a toggle view functionality users can switch between viewing options as they please. As we knew that many users would be viewing the site on their mobile or tablet, so we designed an alternative approach to viewing search results. 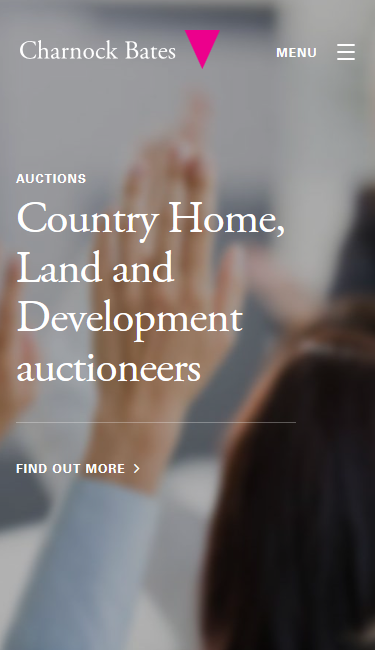 We ensured that the homepage included a mixture of attractive featured properties and key messaging to reflect the company’s ideologies and service to customers. We also looked at restructuring their property pages to include essential selling information such as floor plans and EPC ratings. As these areas were hidden away in brochures on their old website, we knew the new site would benefit from including these. With a refined sitemap and an overall refreshed look and feel, we’ve helped modernise Charnock Bates’ digital presence whilst reflecting their core business proposition.